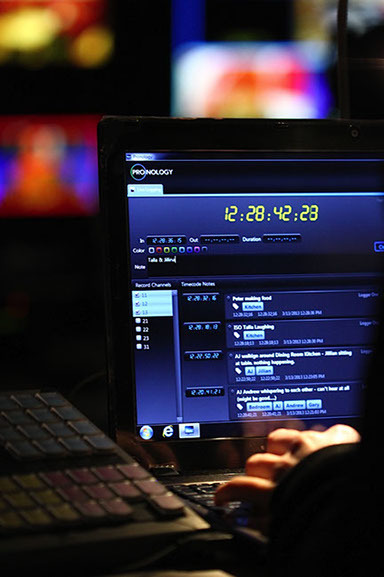 The Pronology CenterPoint Media Asset Management (MAM) system was designed by users, for users, with a uniquely flexible workflow engine that simplifies the daily tasks of end-to-end content creation and distribution. Through a single platform that unifies the production process from acquisition to archive and feature-rich production tools, CenterPoint allows a limitless number of users to simultaneously and remotely acquire, manage, approve, log, distribute, transcode and archive content using a standard web browser. 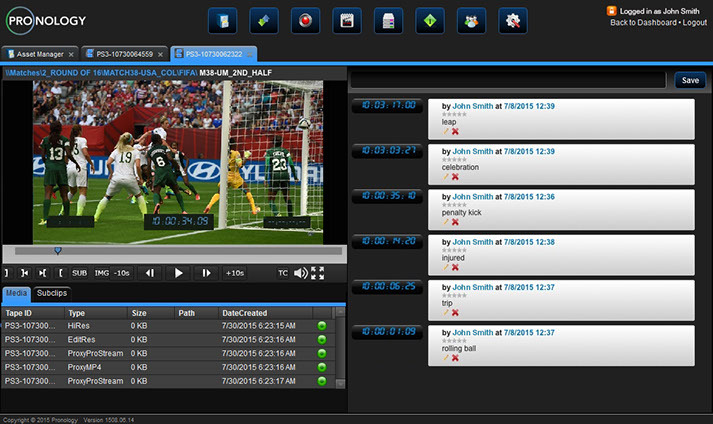 The system’s feature-rich, modular structure flexibly scales to any size production environment while also providing traditional asset management features users have come to trust, including archiving with metadata support, large file uploading, video sharing and automated transcoding with software QC. Accessible as a hosted model or through our SaaS, the system’s user-friendly interface can accommodate a wide range of possible workflows in today’s fast-paced, file-based and often geographically distributed production environments. CenterPoint’s custom-designed and built ingest control application is capable of controlling industry-standard record devices (for example, EVS XT, GVG K2, etc.) as well as our own new mRes encoder, through a clear, simple-to-use, single user interface that facilitates the recording process and metadata entry while also minimizing training and labor costs. The control interface is directly linked to the CenterPoint database, further minimizing human error. CenterPoint components are designed to handle and mix any type of media asset compression formats and our digital asset management system works equally well in Avid, Final Cut Pro and Adobe® Premiere® Pro environments. Our cutting-edge Location Intelligence tool lets users scan and find assets of every resolution easily, whether in the same facility or across the globe, with “at-a-glance” views of streamable proxy files. Producers also have access to intuitive logging and sub-clip tools and can even use Web proxies to create a storyboard or “paper” cut of projects to send as a “sequence” to an editor. Since these sequences can be associated with any resolution of a recording, the editor can load the CenterPoint storyboard into their NLE and link to the appropriate resolution for on- or off-line work. The system’s support for both QuickTime and MXF (including Avid-compliant OPAtom) allows media to be captured, managed and natively archived in a format optimized for the editing/repurposing process. The complete CenterPoint MAM system extends its archiving functionality to cloud-based options. Every single asset, including imported and/or recorded content and metadata, is further backed up to LTO data tape.